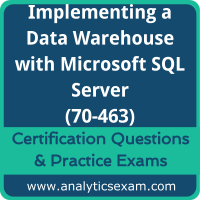 Today I have cleared my second MS certificate and both the time practice with www.analyticexam.com helped a lot. Thank you. 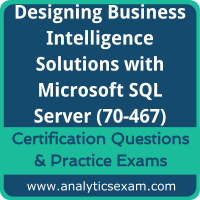 I have cleared my MS SQL server exam today with 92%. I should say, the big credit goes to the mock exam I practiced here. I have overcome so many weak areas with the help of this. Every practice exam made me more and more confident for taking the final exam. I have finished the final exam before time, many questions are similar. Thank you, this has helped a lot. 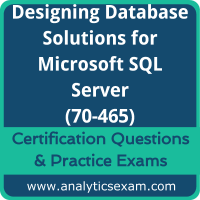 Very good source of preparation for Designing Database Solutions exam from Microsoft. Go for it. 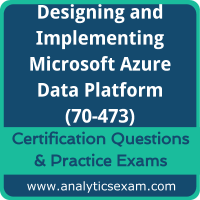 I AM SO MUCH HAPPY BECAUSE I HAVE PASS MY MICROSOFT 70-463. I AM VERY THANK FULL TO ANALYTICSEXAM.COM. Thank you so much team working for www.analyticsexam.com. 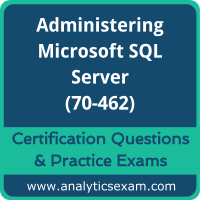 I pass Microsoft 70-467 today with 89%. I have practiced here and found the question almost same. 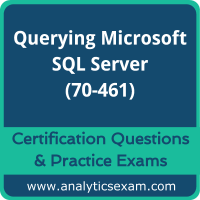 Hi I am so excited today, I have cleared my certification exam for querying Microsoft SQL Server version 2012/2014 with 90%, so happy and all possible as I have practiced nicely here. Thank you www.analyticsexam.com, you guys are doing awesome work. I truly like this site as it gives me basics of exam 70-466. 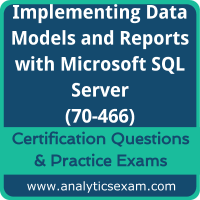 And, I love to share that I have cleared my Data Models and Report certification exam with 91%. 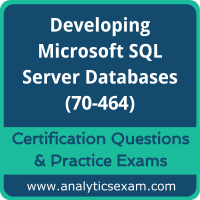 I referred and practiced questions from this site via practice exams and I got almost all questions similar in my certification exam. Thanks to the site owner and it is my suggestions to people who are preparing 70-466.